This is the post I was going to post on Thanksgiving Day. It seems appropriate that it wound up coming today. I got home Wednesday evening after work and found a FedEx box on the front steps. I had ordered things earlier in the month but I thought everything I'd ordered was accounted for. I'm not expecting anything, never mind that it's close to my birthday. I brought it inside and the girls gave it a sniff-over. There wasn't anything exciting about it, they decided. The return address was "Activision/Blizzard". I didn't order anything from them. I knew my daughter was up to something but I had no clue what that could be. I opened the box and here's this black something or other in the bottom of the box. It's got yellow on it. Blizzard doesn't sell tee-shirts and, if it's from my daughter, she knows I have all the tees I really need or want. I have no clue what this is. Well, let's pull it out and see. Oh wow. I know this doesn't mean much to anyone who doesn't play the game but this is so exciting. I opened the bag and there he is. I have him sitting on the printer to the left of the computer. Isn't he adorable? I felt I was kind of beyond the age when a plush would evoke a giggling response from me but I found myself giggling and laughing. He's just so cute. If you know your mythology, a gryphon has the body of a lion and the head and wings of an eagle. In World of Warcraft, if you are Alliance, we use these to fly from point to point. The other faction has a different looking mount. There are a bunch of different colors of gryphons but you're most likely to see the above color the first time your low level self needs to go to another city. Although my character has progressed to where I can fly anywhere, I still like "hopping on the bird" to go from place to place. I can go do a load of dishes or make more tea and let the gryphon take me where I want to go. 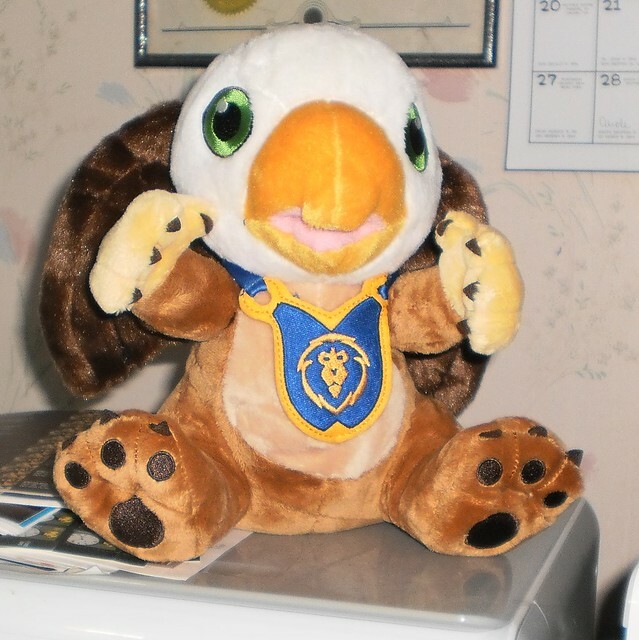 The best part about this plush, it comes with an in-game pet. There are a lot of these kinds of pets you can get in the game. 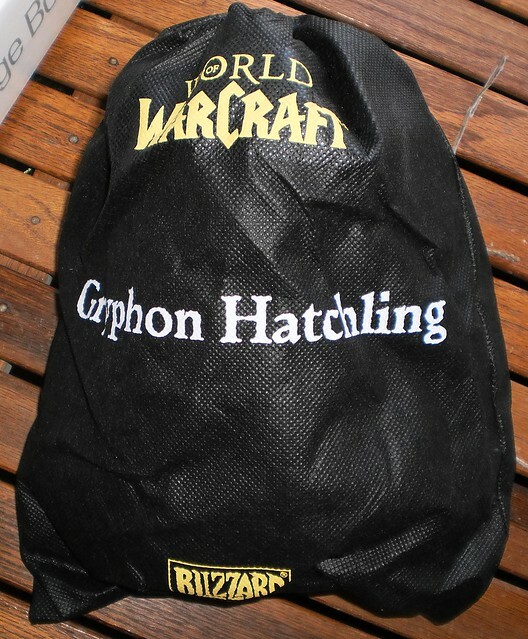 I did not have the little gryphon. When I'm on my personal flying mount, he flies along with me. Today is my birthday and, as of this typing, I am officially another year older. It's appropriate that this post came out today. Thank you, sweetie. 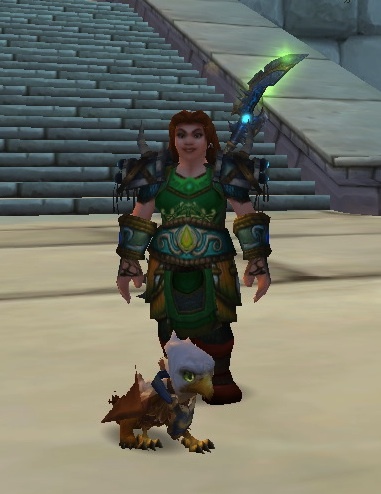 I'm just giddy over my gryphon.